Reporting on the State's finances. Creating a compelling document from dry data is always a challenge. 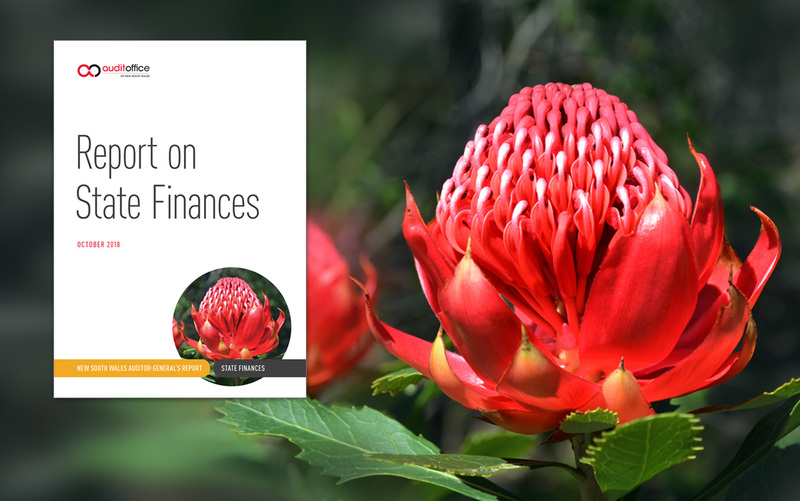 The Report on State Finances is one of the Audit Office of NSW’s most important annual reports and we worked closely with the internal team to create a document that was well balanced, professional and effective. Utilising the visual identity guidelines we coupled mandatory colour palettes with breakouts, iconography and hierarchy that delivered a document that provides a great user experience on a number of levels. 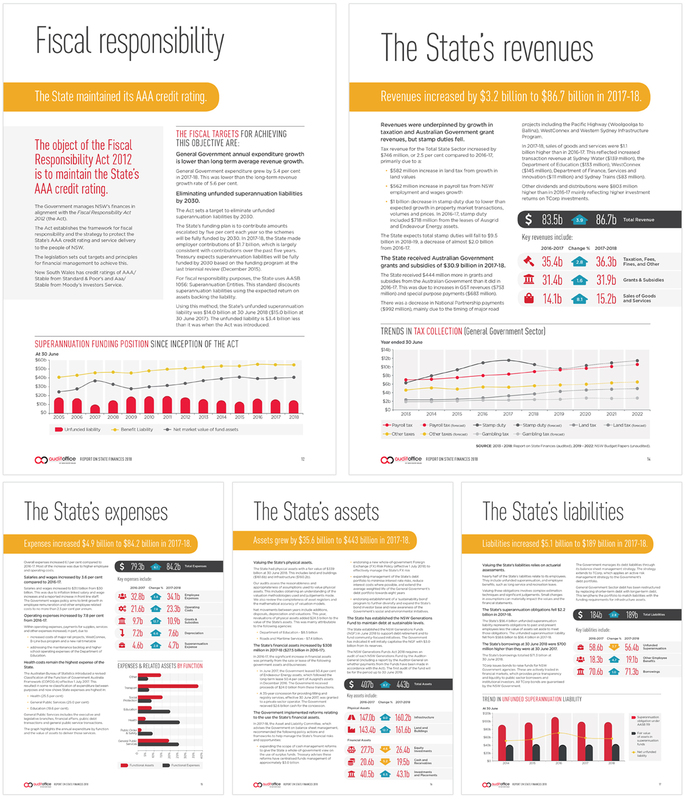 This report is published each year and is an important State report issued by the Audit Office of NSW. Working with the internal team we developed a hierarchy that allowed casual readers to get an over arching feel for the content, while providing enough white space and visual interruption to make a complete read accessible. Taking data and developing more approachable graphs and charts created an easier relationship between the raw copy and the visualisation. This ultimately leads to a more successful document from both a purpose and experience point of view.